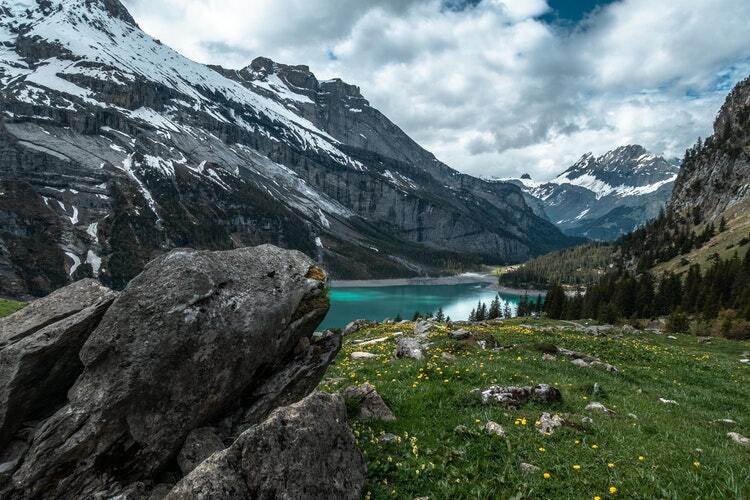 On this list, you will find some of the best places to visit in Switzerland! 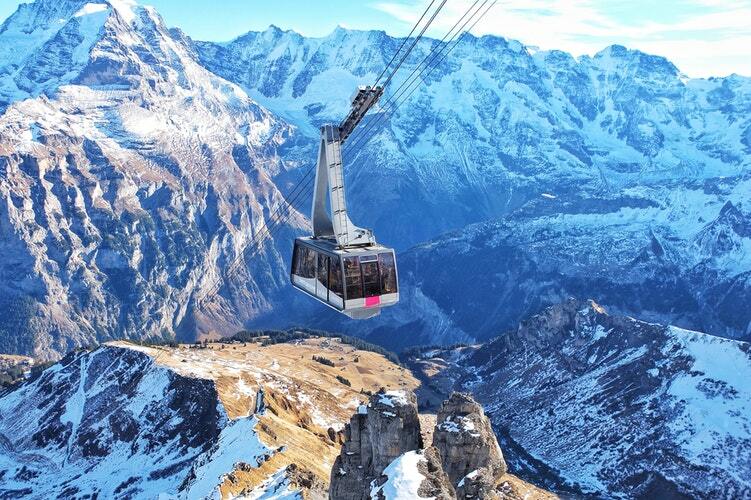 In Switzerland, there are so many delightful things to see and do. Wanna see the Swiss Alps? Love chocolate and wanna see what Swiss Chocolate is all about? Wanna take a lift over the mountains? Switzerland is your place to go! Geneva is the perfect place to do find incredible, fun things to do. A fun first experience is the chocolate creations tour. This is a three-hour tour where you walk through the tour of 5 chocolate factories and patisseries. You will learn all about the world of chocolate as well as all about Swiss chocolate and the history of it all. You will taste 11 chocolate artisan creations. This is a fun tour for any chocolate lover! Some other fun things to here are the sunrise festival or the open-air cinema which is a free movie experience and a great date night option. Geneva has endless things to do! One of the coolest things you will find in Geneva, Switzerland is the Jet d'Eau. This is an important landmark here. As an attraction, it is quite impressive. You can find this in the downtown area of Geneva, but it can be seen all around the city because of the height it shoots out to. One of the coolest things is to see this from the air as you fly over downtown Geneva. Another iconic symbol is the Broken Chair Sculpture. This is a representation of those who have lost parts of their body from explosions in land mines. It is a symbol of what war takes away from a nation and a people. The chair itself has a leg missing, symbolizing a limb, having been blown off. Behind this symbolic chair stands the second largest UN office in the world. You can take a guided tour here, and be sure you do. You will get an up close and personal look at the United Nations headquarters. You will learn about all the humanitarian efforts here such as their work in lowering crime, in nuclear energy, and in refugee care. You will learn all about the former League of Nations on top of the UN's efforts. If you are seeking to overlook the famous Lake Geneva, you can enjoy the Pâquis Baths which was created in 1872! Here you can rest, sunbathe, enjoy a sauna sweat, or partake in sports on the water. There are sandboxes for the kiddos, Ziplines, and diving boards. This is the perfect family place on your trip to Geneva. Admission is cheap and it is open for almost 12 hours a day. If you are looking for a uniquely Switzerland-like museum to enjoy, consider the Patek Philippe Museum. If you know of some of Switzerland's wonders, you know they are well known for being some of the best watchmakers. There are two antique watch collections here. You will be able to explore one of the best watch companies in the world, dating back to the 16th century in their collections. Make sure you check the hours before venturing here because they are very specific. The last unique thing to do in Geneva, Switzerland on our list is Mont Salève. The hiking trails here are ones for even the best hikers to be challenged on. If you want to go the less tiring route, you can get on the cable car that will take you straight to the mountain's observation deck. Your other route besides hiking and traveling by cable car is to take a mountain bike. Be sure to have your passport on hand because this mountain is actually on the on the border and is situated in another country. This mountain has to offer all types of activities such as paragliding, rock climbing, and ski trails. And once you get to the top, there is a small restaurant to enjoy. This is a great activity for families with children, both young and old. One of the coolest things here is the Border Triangle where you can see Germany, France, and Switzerland. The builders made this building to give you the ability to be in all three places at once. Next up is the incredible passion for art here in Basel. Picasso himself gave multiple paintings to the Basel's Museum of Fine Arts. Next up is the University of Basel, which is the oldest in Switzerland. This university opened it's doors in 1460 and is still thriving today! If you visit Basel, you must make sure you bring your bathing suit. There are so many places to visit and wear your swimsuit! With incredible rivers, or the Dolce Vita on the banks of the Rhine which is where the locals enjoy fun and family time. One of the coolest things you will find here is the Jet d'Eau. This is an important landmark here. As an attraction, it is quite impressive. You can find this in the downtown area of Geneva, but it can be seen all around the city because of the height it shoots out to. One of the coolest things is to see this from the air as you fly over downtown Geneva. Another iconic symbol is the Broken Chair Sculpture. This is a representation of those who have lost parts of their body from explosions in land mines. It is a symbol of what war takes away from a nation and a people. The chair itself has a leg missing, symbolizing a limb, having been blown off. Behind this symbolic chair stands the second largest UN office in the world. You can take a guided tour here, and be sure you do. You will get an up close and personal look at the United Nations headquarters. You will learn about all the humanitarian efforts here such as their work in lowering crime, in nuclear energy, and in refugee care. You will learn all about the former League of Nations on top of the UN's efforts. If you are seeking to overlook the famous Lake Geneva, you can enjoy the Pâquis Baths which was created in 1872! Here you can rest, sunbathe, enjoy a sauna sweat, or partake in sports on the water. There are sandboxes for the kiddos, Ziplines, and diving boards. This is the perfect family place on your trip to Geneva. Admission is cheap and it is open for almost 12 hours a day. If you are looking for a uniquely Switzerland-like museum to enjoy, consider the Patek Philippe Museum. 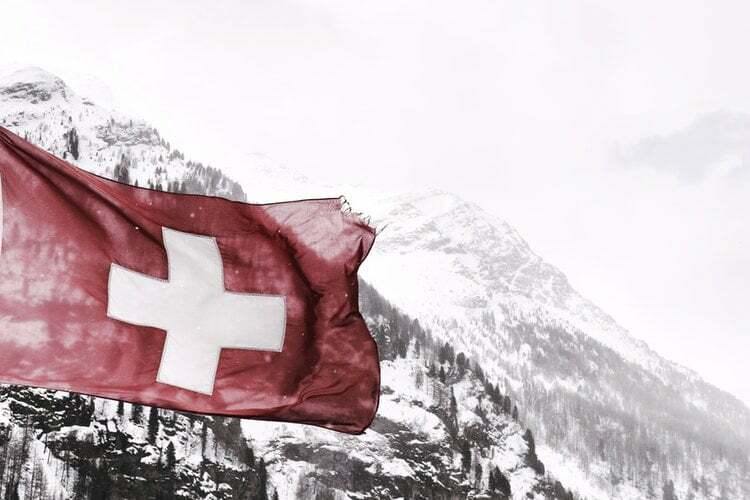 If you know of some of Switzerland's wonders, you know they are well known for being some of the best watchmakers. There are two antique watch collections here. You will be able to explore one of the best watch companies in the world, dating back to the 16th century in their collections. Make sure you check the hours before venturing here because they are very specific. The last unique thing to do here on our list is Mont Salève. The hiking trails here are ones for even the best hikers to be challenged on. If you want to go the less tiring route, you can get on the cable car that will take you straight to the mountain's observation deck. Your other route besides hiking and traveling by cable car is to take a mountain bike. Be sure to have your passport on hand because this mountain is actually on the on the border and is situated in another country. This mountain has to offer all types of activities such as paragliding, rock climbing, and ski trails. And once you get to the top, there is a small restaurant to enjoy. This is a great activity for families with children, both young and old. Our first incredible site to see is the Zytglogge, which is a clock tower of old. This tower was built in 1530. This was the main mode of time telling back in that day, so to say it was important to everyday life back in the day is no stretch. The incredible architecture truly makes you feel like you stepped into a fairytale in the 16th century. Our next fun attraction is the UNESCO World Heritage Site of Old Town Bern which was affirmed in 1983. This place dates back to 1191! 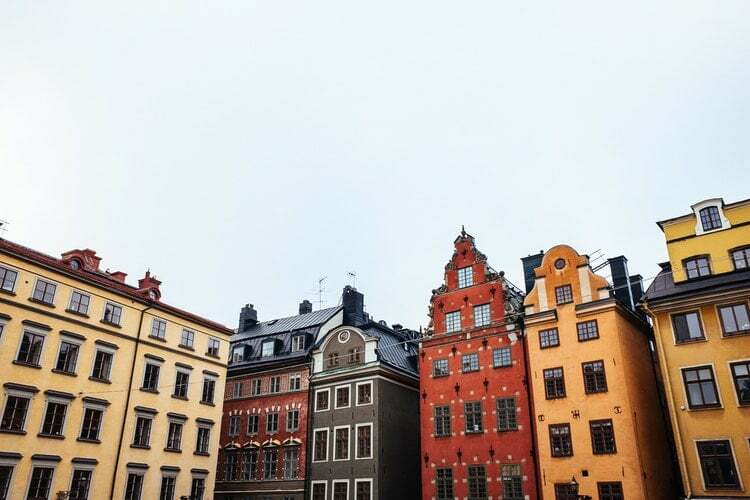 There is so much history and culture to enjoy here. One of the coolest things you will find in here is our next popular attraction. This is an important landmark here. As an attraction, it is quite impressive. You can find this in the downtown area of Geneva, but it can be seen all around the city because of the height it shoots out to. One of the coolest things is to see this from the air as you fly over downtown Geneva. Another iconic symbol is the Broken Chair Sculpture. This is a representation of those who have lost parts of their body from explosions in land mines. It is a symbol of what war takes away from a nation and a people. The chair itself has a leg missing, symbolizing a limb, having been blown off. This is the perfect family place on your trip. Admission is cheap and it is open for almost 12 hours a day. If you are looking for a uniquely Switzerland-like museum to enjoy, consider the Patek Philippe Museum. If you know of some of Switzerland's wonders, you know they are well known for being some of the best watchmakers. There are two antique watch collections here. You will be able to explore one of the best watch companies in the world, dating back to the 16th century in their collections. Make sure you check the hours before venturing here because they are very specific. Able-bodied travelers will find Lucerne a complete joy to get around in on foot. 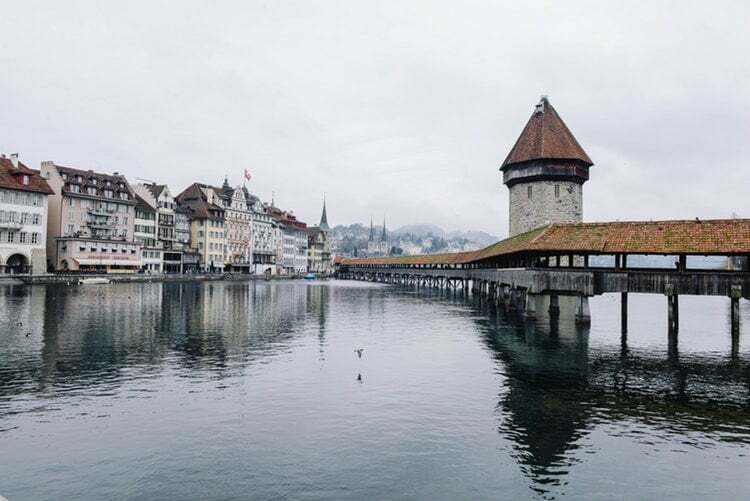 The Old-Town is tiny, and most other interesting sites are within 20 minutes or so walk, there is also a city bus system, as well as assistance for disabled visitors on request from Mobility International Switzerland. The Lido beach and the Swiss Transport Museum are a bit further out and can be reached by bus or by one of several boats per hour from just in front of the central railway station. Bicycles are available for rent at the central railway station, at ticket window 21 on the lower level. For 31 CHF per day, you can rent a 24-speed, sturdily-built bike with a baggage clamp. Electric bikes are also available. The Swiss Transport Museum, Lido beach (the first stop for boats leaving from the central train station, preferably reached by bus). With its large collection of trains, planes, automobiles, and motorcycles this museum of means of transport is a great place to spend an afternoon. If you get tired of the real train engines you can check out the model railroad or the miniature working steam train. The air section also features several space travel exhibits, including an unused project Mercury capsule. Basic admission is 32 Chf. for adults, 21 Chf for children 6-16, and free for younger kids. You can get a Lucerne Museum Pass - 36CHF for 7 museums that includes this one rather than pay 30 for just this one museum. The old city wall (Musegg Wall). There are several towers which you can ascend, including the clock tower - the clockwork mechanism is huge and exposed on the inside. The clock has 'First Strike rights' by law, and so chimes at 1 min before the hour. Unfortunately what little explanatory signage there is on the wall is almost all only in German. Lucerne Art Museum  Is underwhelming compared to the Rosengart. If you happen to have a Lucerne Pass and the weather is bad you still might choose an alternative. The Rosengart Collection (Sammlung Rosengart) open. April-October: every day, 10 AM-6 PM; November-March: every day, 11 AM-5 PM. Well over 200 works by 23 artists of early modernism, including 125 works of Paul Klee and about 50 by Pablo Picasso. Also works by Cézanne, Chagall, Miró, Pissarro, among others. The collection also houses 200 photographs -- previously housed in the Am-Rhyn-Haus -- by David Duncan Douglas, LIFE’s WWII photo correspondent who arrived with his camera uninvited at Picasso’s villa “California”, was welcomed by Picasso and his family, and over the years produced an intimate portrait of the artist’s day-to-day life. Picasso's living room was his studio, and domestic scenes -- a ballet lesson, Picasso drawing with his children, or wrapping himself in the cape and hat of his native Spain -- play out within the backdrop of some of his most famous works. Admission CHF 15 (CHF 8 for students, children 7-16 years). Which places will you visit in Switzerland? There are hundreds of years with of history, culture, and art to visit in Switzerland. No matter what your interest is, you can find something exciting to see here. We have only scratched the surface of the best places to visit in Switzerland!